Viva la dolce! : VIVA LA DOLCE x TIM HORTONS GIVEAWAY! VIVA LA DOLCE x TIM HORTONS GIVEAWAY! 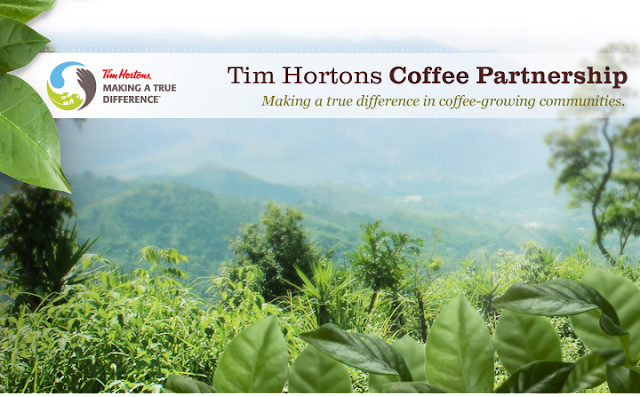 When identifying Canada's #1 coffee brand, individuals will almost undoubtedly mention Tim Hortons. Although other brands have entered the market, there is something special about 'Timmys' coffee that keeps customers coming back cup after cup. What's more, their tasty treats, which include the most recently added Nutella infused snacks, deliciously satisfy one's sweet tooth. How did you decide to become Tim Hortons franchisees? We wanted to join a successful iconic Canadian brand. We loved their coffee, food and beliefs, so it was a great fit. Marwan - you were previously a football player for Canadian football team, the Hamilton Tiger-Cats. How did you adapt from being a football player to a franchise owner? It has definitely been challenging at times, especially since nothing can match the adrenaline of playing professional football. However, a lot of lessons I learned from football allowed for a smooth transition. What's great about both football and Tim Hortons is being part of a great team. What is your favourite aspect of being franchise owners? Working with a winning team and representing a great Canadian brand. What are some interesting and important facts about Tim Hortons coffee? The most fascinating concept about Tim Hortons coffee is the process in which one small bean becomes the coffee that we all love. There is so much effort and energy put into each cup of coffee. Another interesting fact is that only three people know the exact blend of our beloved coffee. Tim Hortons prides itself on the guarantee of fresh coffee. What practices are in place to guarantee this? Tim Hortons really seems committed to helping the environment. Can you tell us about those initiatives? One initiative that is featured at our Ancaster, Ontario roasting plant is the recycling of our jute bags for uses such as, stuffing for furniture. At the restaurant level, we always recycle, and when possible, we offer customers porcelain plates and mugs. Tim Hortons recently launched Nutella products (yay!!!). Why did they decide to launch these, and how long will they be available? Our Nutella products will be available until June 9th. 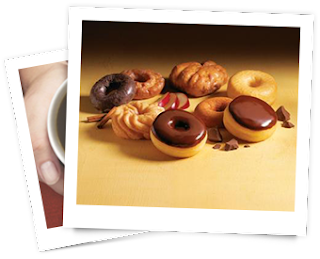 Tim Hortons strives to be innovative and we love to bring exciting products to our valued guests. Viva la Dolce, is all about celebrating what makes you happy in life. Describe your "dolce" in life. On behalf of The Hages, Viva la Dolce readers will have the chance to win a Tim Hortons Prize Pack! Fill out the entry form below for your chance to win a Tim Hortons gift card (valued at $10) and a Tim Hortons Beverage Tumbler (valued at $4.99)!